Hyundai Genesis: The Next Great Luxobarge Depeciation Special? 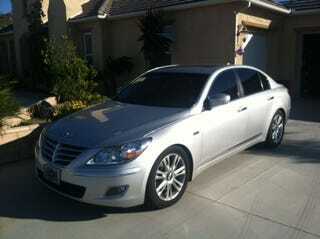 Here is a 2009 Hyundai Genesis with the 385 horsepower 4.6 L V8 and 69,500 miles for $20,000. The car sold at retail for over $40,000. So, is the Genesis the next great luxobarge depreciation special?